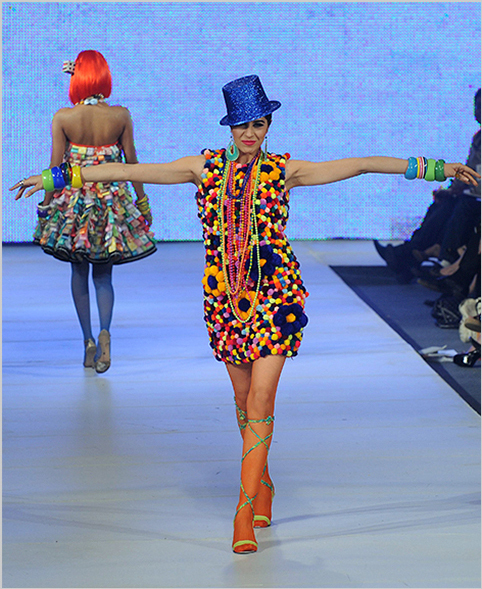 Lahore Fashion Week has brought Pakistan Fashion Debate back in international media. Lahore, Pakistan (CNN) — Bare backs, plunging necklines and high-cut hems. Western media recently reported that the bold statements made by Pakistan’s fashionistas at Lahore Fashion Week demonstrated how designers were rejecting conservative dress in the South Asian nation. But the country’s top designers and models say that last week’s four-day fashion extravaganza wasn’t about defying extremism. Karachi may have stolen Lahore’s thunder by launching the country’s first fashion week last November but Lahore is considered Pakistan’s cultural capital and is home to the Pakistan Institute of Fashion Design. It meant that Lahore Fashion Week became a sort of homecoming for many of the country’s premier designers who started in the city. It was a proud moment for Pakistan’s fashion when the country was recently represented at one of the biggest fashion platforms in the world — Milan Fashion Week. Of the designers who participated, each showed a fabulous collection and they did so in the New Upcoming Designers (N-U-De) category.